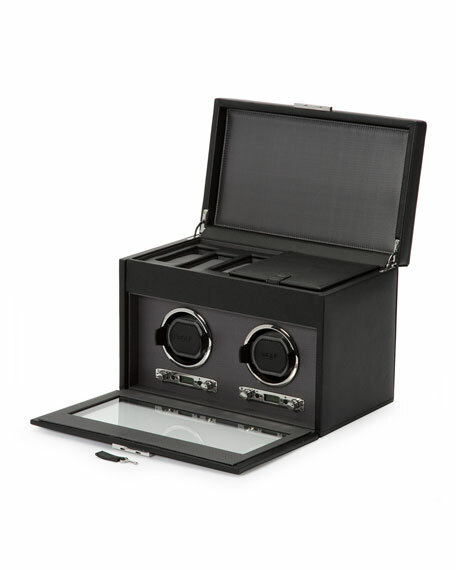 Winds two watches and has storage for four additional watches. Pull-out travel box with storage. Wood frame with distressed pebble faux-leather exterior and gray textured-silk faceplate, polished control panel, lock, and key. Patent rotation program that includes intermittent rotation with pause and sleep pre-programmed phases. 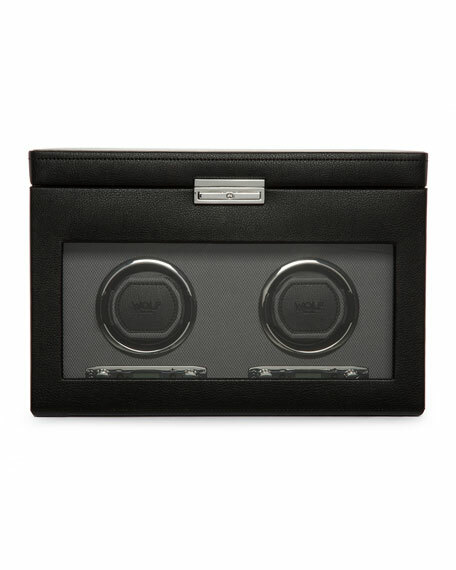 Lock-In cuff accommodates a 10" wrist size. Powered by two D batteries (not included) or a 3.3V power adapter (included). 13"W x 8"D x 9"T.